Naked Cupcakes: Mixed Greens with Toasted Almonds, Currants, and more! Mixed Greens with Toasted Almonds, Currants, and more! After all of these sweets and heavy winter dishes, we just wanted something light and delicious for supper one night. I threw together what I could find in my fridge, and came up with a new favourite salad! The dressing I used is from the eatingwell.com website, and it went perfectly with this fresh salad. 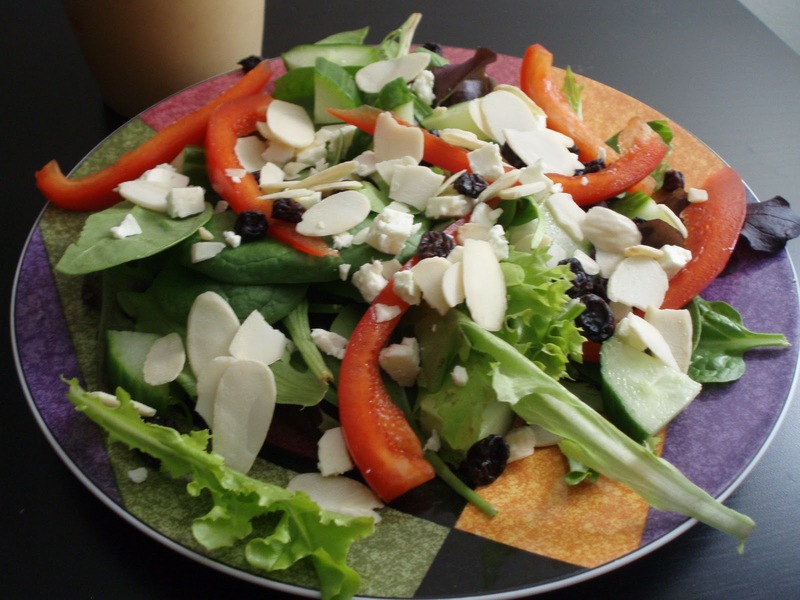 If you want a tasty salad to serve to guests, or for a quick and light supper, give this one a try! 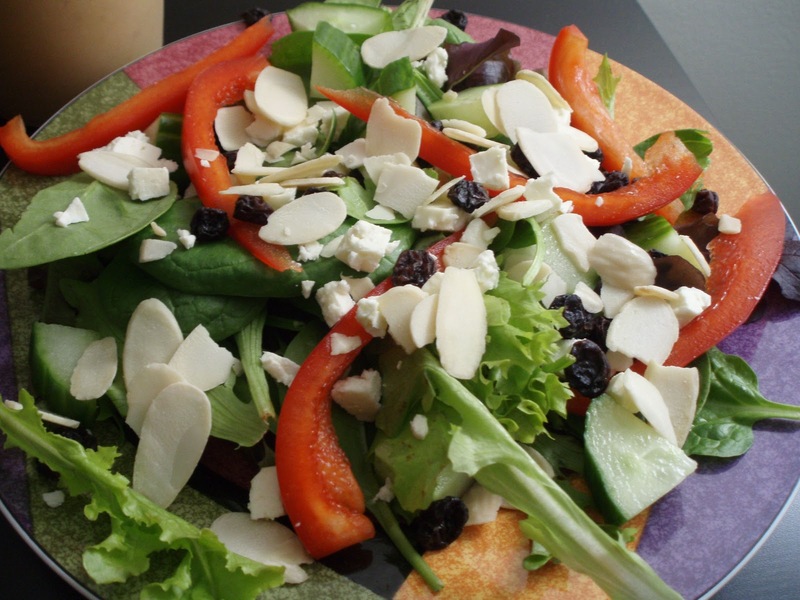 Drizzle with dressing (recipe below) and Enjoy!